When you shop at the commissary at Nellis Air Force Base, in the North Las Vegas area of Nevada, it can sometimes be difficult to find time amidst the hustle and bustle of military life to find good savings opportunities. That’s why we’ve created MyMilitarySavings.com, your one-stop shop for easy access to a mountain of coupons and other discounts without having to look all over the internet for the latest deals. We’ve brought together discounts from a wide variety of sources, including the Defense Commissary Agency (DeCA), and we even provide convenient links to the DeCA website so that you can add coupons directly to your Rewards Card. In addition to the coupons and other discounts that we offer for use in the commissary, we also provide access to savings information for the exchanges of all branches of the military. 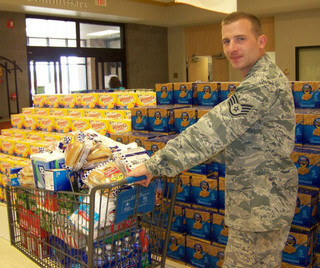 If you’re interested in learning more about the many savings opportunities we can provide for your next trip to the Nellis AFB commissary, enroll for your free account at MyMilitarySavings.com today.